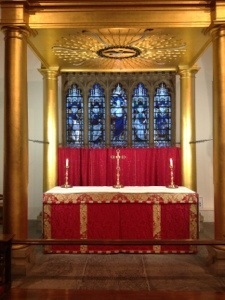 St. Peter’s, dressed for Holy Week – red vestments and ‘stations’. 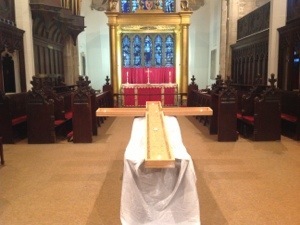 A votive candle cross has been added for Good Friday and after the Maundy Thursday service the church was stripped. 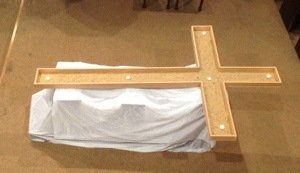 The photos show the stages of today’s activities.